Sorry that this bowl is not even half full, and more than half empty. Every Saturday, my family gets together for dinner (which ends up being pizza 95% of the time). I either make my own gluten-free, dairy-free pizza, or a soup. 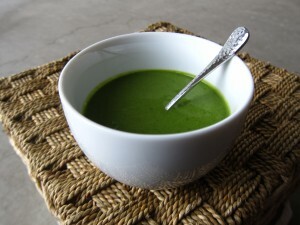 Last Saturday I made this broccoli soup. I figured that since I doubled the recipe there would be plenty of leftovers so I could take a picture of it the next day. However, it was so popular there was barely a half-cup left. Even my 18-year-old nephew liked it. Heat oil in large, heavy-bottom pot over medium-high heat. Add broccoli, onion, garlic, dry mustard, cayenne, and 1 teaspoon salt. Cook, stirring often, until fragrant, about 5 minutes. Add 1 cup water and baking soda. Bring to simmer, cover, and cook until broccoli is very soft (you should be able to mash it with the back of your spoon), about 20 minutes, stirring occasionally. Add broth and 3 cups water and increase heat to medium-high. 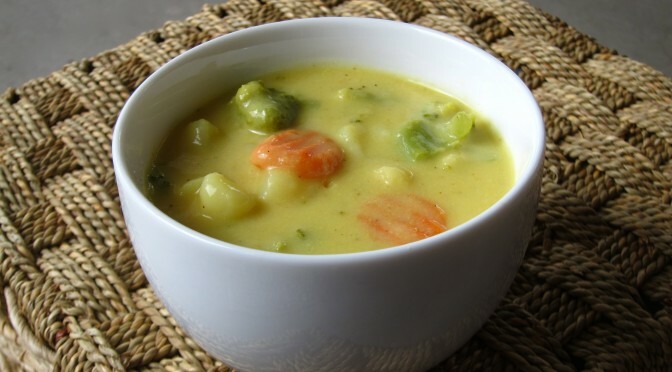 When mixture begins to simmer, stir in spinach, dairy-free cheese, and nutritional yeast. Cook until spinach is wilted, about 1 minute. Transfer to blender in batches (you don't want to fill it more than 2/3 full or else you may have an explosion) and process until smooth. Transfer soup to medium bowl and repeat with remaining soup. Return soup to Dutch oven. Season to taste with salt and pepper. Serve. One thing that may seem strange, is that you are basically supposed to cook the broccoli to death to get the real flavor out. 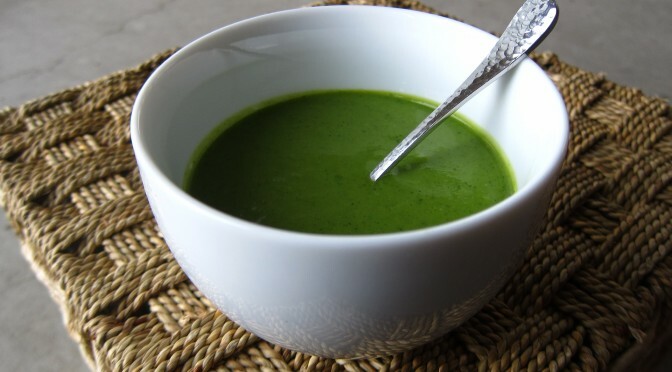 The baking soda speeds up the process, and the spinach gives it the bright, green color. If you guessed ‘Emma,’ you’re right! Since seeing that movie some fifteen years ago, I’ve been curious about this root that Mr. Elton professed his love for. However, it wasn’t until recently that I got up the courage to try. I decided to go with a simple soup. One thing that I wanted to use in the soup was Chinese 5-spice powder, which is a blend of star anise, cloves, cinnamon, sichuan pepper, and fennel seeds. I know that may sound like a strange addition, but celery and fennel are in the same family after all. Now that I think about it, that really is a crazy choice for me. I’m not the biggest fan of fennel. In fact, I can’t stand it. What’s also crazy is that I like anise (another relative of the fennel family), but only in sweets such as pfeffernusse and black jellybeans. Yet this recipe has fennel and anise, yet it’s not a dessert. I also am not a big fan of celery. I know, I’m a walking paradox, but stick with me here. 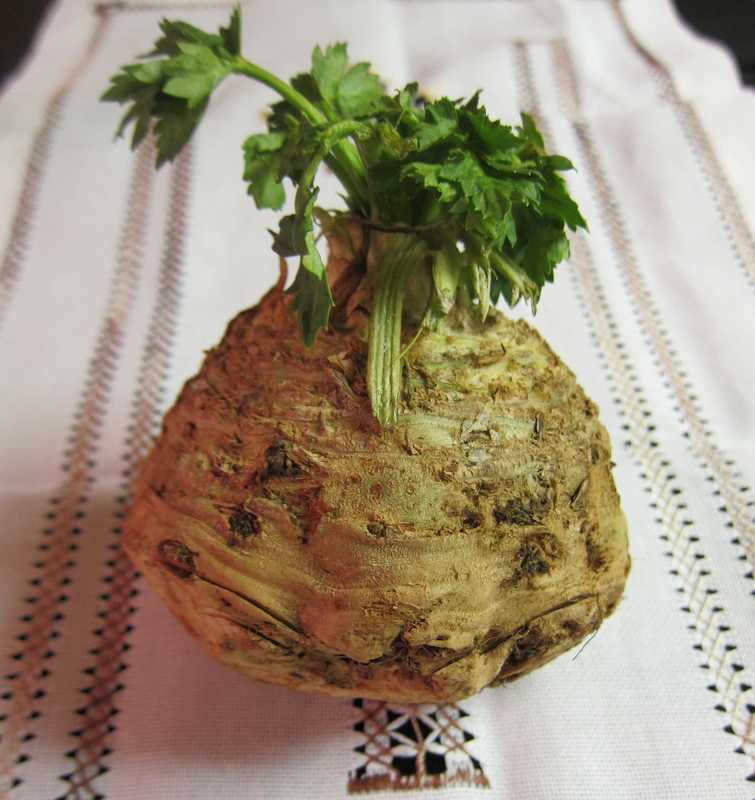 Celery root is much more mild, and less fibrous (which is the primary reason why I’m not a celery lover) than the regular celery. The 5-spices marry so well with the subtle celery flavor. 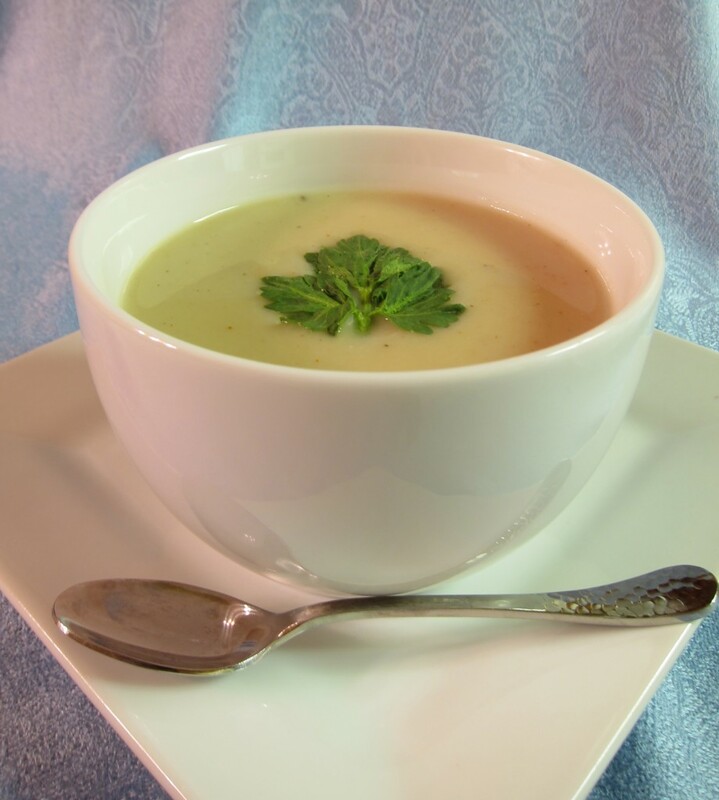 This recipe is simple, quick, and delicious. Now with Mr. Elton, I too can say, “I simply love celery root”. Heat olive oil over medium-high heat. Add onion and 1/2 teaspoon salt, sauté until softened, about 3 minutes. Add 5-Spice powder, chili powder and sauté for 1 minute. Add celery root, sauté for another minute. 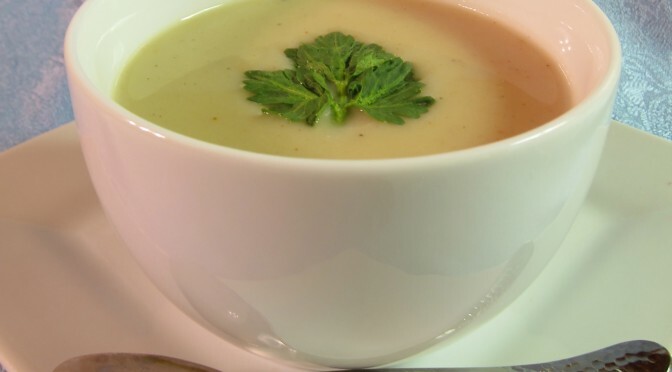 This soup is simple, and fast and can be done in less than 30 minutes. 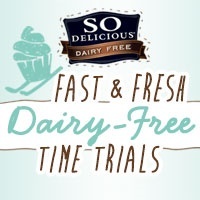 I decided to enter it in the So Delicious Fast and Fresh Dairy-Free Time Trials Contest in the 30-minute category. 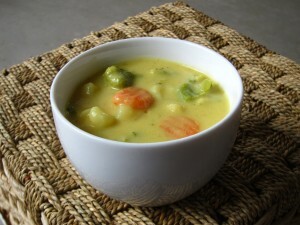 What I like about this soup is that during the cooking time you don’t need to keep a watchful eye on it. That way I can get side dishes and cleanup done while it’s cooking.